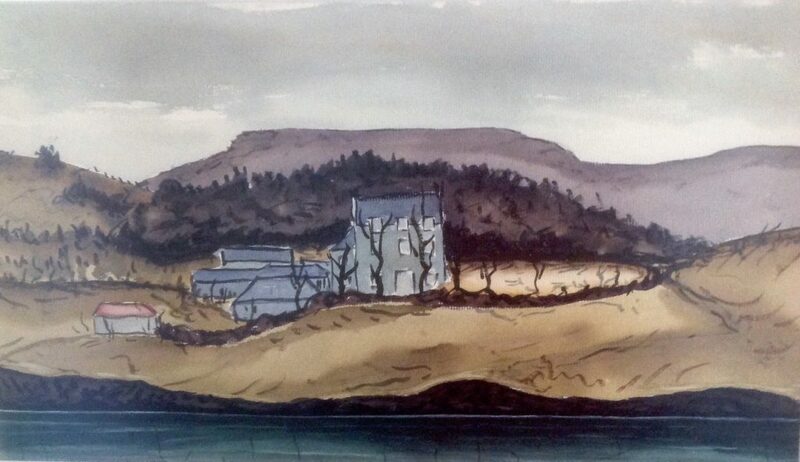 Uiginish House, Dunvegan (on the Isle of Skye), is the ancestral home of New Zealand painter Douglas MacDiarmid’s mother’s family, the Tolmes of Uiginish – and this unassuming landscape has great personal significance for the artist. Built in the 1770s in the style of many houses of the era, the massive three storey stone residence, with thick stone walls built to last forever, overlooks Loch Dunvegan in the north west of Skye. Now part of the MacLeod Estates, the house was surrounded by three farms held by the family for generations under now obsolete Scottish Highland rural land tenure known as ‘tack. The long-term lease extended from the loch to two flat-topped hills known as MacLeod’s Tables, and also included an island called Garvalen (Garbheilean in Gaelic) with its rocks and small rural holdings (known locally as pedicles). 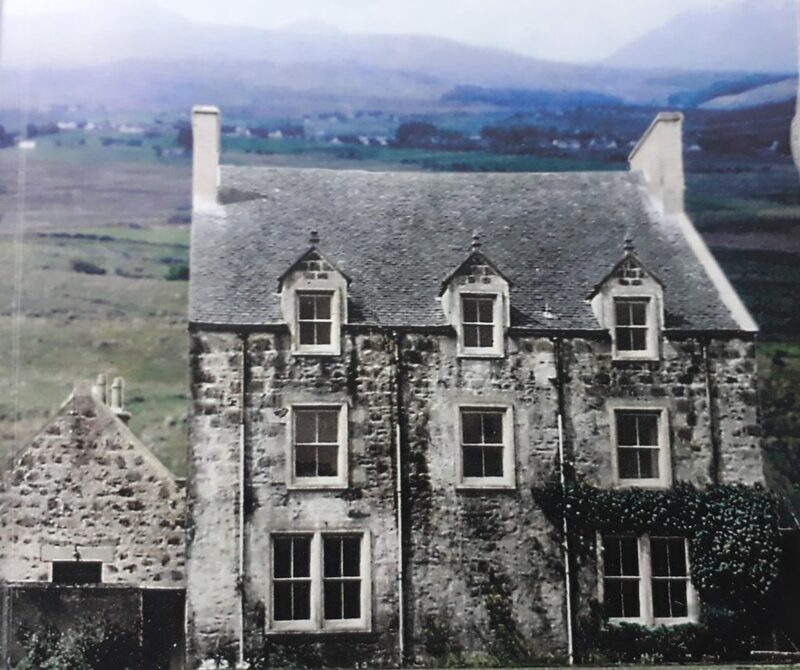 Douglas loved this wild, remote place and visited his mother Mary Frances Tolme’s older sister, his Aunt Margaret MacKenzie and cousins at Dunvegan House, across the loch, regularly while living in London in the late 1940s. He walked all over the region and scrambled up those flat-topped hills to savour the views. This painting of the old home was made on one of those trips. He gave it to a childhood friend from Taihape many years ago, and it remains much loved in her family to this day. 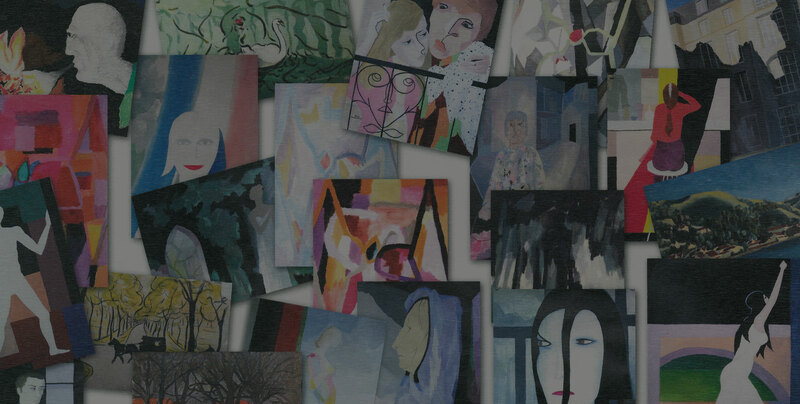 In what was probably its first display, the painting was exhibited at the Auckland launch of Douglas’ biography Colours of a Life” The Life and times of Douglas MacDiarmid at the James Wallace Arts Trust’s The Pah Homestead, Hillsborough in July 2018. A few years back, a highland bagpipe march ‘Uiginish House’ was composed by a New Zealand piper Dr Neil Whitehead to commemorate the release of another book, Four Sons of Skye, about those young Tolme men who left Dunvegan to find a new life in New Zealand. A Tolme cousin Carol McKay, who worked on this book with her son James, recently visited the Isle of Skye. “The highlight was seeing inside Uiginish House, on the cover of James’ book. Probably more imposing inside than the appearance outside. 5 bedrooms + 2 bathrooms on floors two and three,” she said.